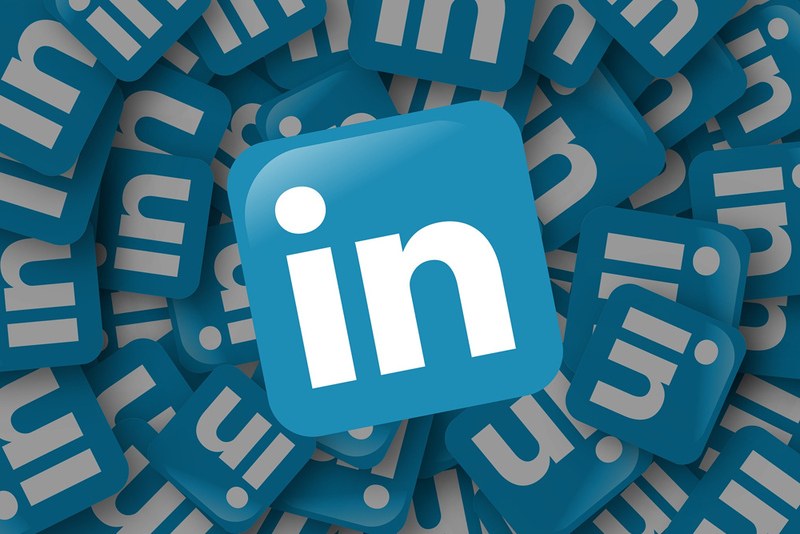 How is LinkedIn Different from other Social Media? Best platform for B2B marketing. Linked must be a part of marketing strategy. It can help expand network especially if you are in B2B business. Connections can help to get more lead, publicity, and business growing advantages. Utilize it to tell your company’s story, sharing career opportunities. How to take advantage of LinkedIn without paid ads? Like other social media platforms, the activeness and your involvement play a major role. The frequency to post on LinkedIn according to various experts is one post a day. However, you can also reshare other posts. Regular updates: Update about various products and services. You can also mention about upcoming projects or create a teaser post about it. Engaging posts that have chances of getting reshared, especially which can benefit your followers. Join Groups: Join various groups that are related to your business and your interests. Participate in discussion but do not create a spam. Communicate: Send messages and invitation in your network. Special Feature Showcase page: Showcase Pages are niche pages of a company page. They allow a company to promote specific products or market to a specific buyer persona. LinkedIn users can follow singular Showcase Pages without following the business or their other Showcase Pages. This allows businesses to promote for and cater to the audience specific to the page. You can make a specific product HERO here, rather than getting lost in between other services. Understand Analytics: Analytics on LinkedIn is basic and easier to understand, it is not elaborate as Facebook or Twitter. One can understand the kind of posts are liked and keeping followers interested. Adding new members: Start with employees and ask them to keep sharing and engaging the posts. SEO: Optimize your content for Search Engines. Create longer posts enriched with keywords. Engagement: Engaging with current connections. Why we should use Instagram? None of the other social media platform makes such extensive use of hashtags like Instagram. Business has aced with the help of these hashtags and by using them very strategically. Instagram is perfect for today’s busy and mobile lifestyle. It was made for capturing and posting content on the go and users love it for that reason. Smartphones are being used in the most remote parts of the world where people are less likely to even have computers. Nearly everyone has a smartphone and these smaller devices easily integrate into people’s lives. It’s simple and It’s fun. Perfect when people are having short attention span for social media users. Focus is more on image, very few read the text that comes along with it. Instagram enables the post to be shared across different social media channels in one go. Like Facebook, Twitter, Tumblr. How it can be helpful for business? One of the best social media platforms for branding. 80% of all users follow at least one business. 59% of micro influencer believe they get maximum engagement through Instagram. 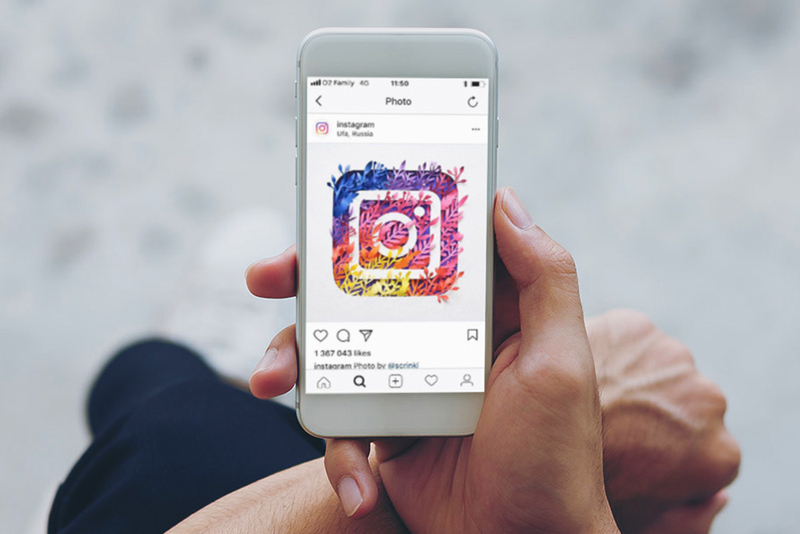 Instagram has 2 million monthly ads compare to 6 million ads on Facebook, so chances of visibility is higher in Instagram if you go for paid ads. And Instagram’s algorithm to promote ads are much simpler than Facebook so chances to be seen and heard are better. Instagram generates 70% higher engagement rates than Facebook. And 669% higher engagement rates than Twitter. How to promote business on Insta without paid ads? Image first: Instagram users have a large appetite for big, beautiful images. It’s the image that stops them from scrolling down, text comes later. Use colours which are vibrant and grabs attention instantly. Have CTA: Influencing people to visit site and create a contest. More engagement provides more visibility. Reward you followers: Reward your followers by giving them exclusive content, discounts, or freebies on occasion. Even a simple thank-you message can be enough to keep users around. Instagram analytics: It is very much limited, not as elaborate as twitter and FB. Gives only post specific insights. No links: You can’t divert users to your website through Instagram. Solution-> Include the link of your website in your main profile page. Also try to add Facebook or twitter profile names on the image. There is a possibility to driving your audience to other social media accounts which allows the links. Less importance to text: Nobody comes on Insta to read text. Solution-&gt; Make the text part of your image. Not an ideal place to have a customer relationship as it’s not created for back and forth conversation. How to google like a Pro? Google is unarguably the King of search engines. Its market dominance is not only impressive but also massive with roughly 3.5 billion searches per day. Almost all of us use Google search several times a day. Our typical Google search involves typing a few words related to our search and keep modifying them until we reach our desired search result. Many of us still unaware of the techniques to use Google to its ultimate potential. 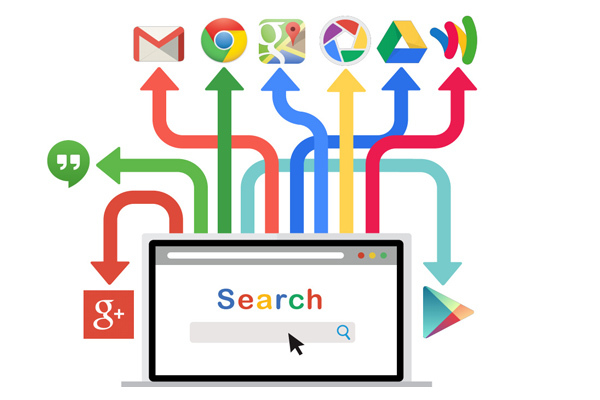 Knowing a few Google search tips and tricks can help in finding information faster and easier. How to Search on Google Effectively? Here is an overview of some of the techniques and tricks to search like a Pro on Google. It will help you to find exactly what you are looking for in the lesser amount of time. Exact Phrase: This is probably something you are already aware of. In this, you need to type the phrase in the order that you want them to appear and put them in double quotes. For example, if you want to search the phrase How to search on Google, then you need to type “how to search on Google“. It will show results only for this phrase and remove the results of the related phrases. Exclude a word: You can also prevent or eliminate certain words from appearing in your search result. The words which may generate a lot of search results which may be irrelevant to you. The trick is simple, first, find the word or words that you are not interested in and simply put (-) sign in front of them. Find unknown Word or variable: Simply use an asterisk sign (*) in place of the missing word. This tells Google that there should be a word here, but you don’t know what it is. This is amazing when it comes to searching for lyrics of songs or particular poem whose words you don’t recall entirely. Using the “OR”: It is Google’s nature to include all the terms specified in the search. If you are looking for two terms to give you separate results, then you can use “OR” in between them. For Example, you want to search for articles related to marketing and advertising but explaining them distinctly then you will type, “Marketing OR Advertising“. Here OR must be written in caps. Learn Meaning: You can use the command DEFINE here to get the meaning of the words. It helps you learn everything about the term like translations, word origin, and more definitions. For Example, Just type “define Marketing” and you will get the desired results. Particular Words in Text: When you want to restrict your search to only the body text on the website and exclude all titles, links, and URLs which might distract your search, then you can use intext or allintext commands. For example, if you want to search for Marketing, then you will type either, “intext:Marketing” or “allintext:Marketing“. There should be no space between the colons and the search term. Related Search: If you want to find a website similar or related to the site you know, then you can use related: command. Reverse Image search: Go to https://images.google.com/, then click on the camera icon. You can upload an image from your device, or you can search with the URL. To search with an online image, right click on it and click on copy image location, then paste that link into the search bar and hit search. The result will be similar or related images. If you want exactly the same image, then you need to click on the search by image link which is under the search bar. This will tell you where all the exact image has been posted and may even lead you to the origin of that particular image. Find a cached Website: You love a website and want to search it after a long time only to find whether it’s still there. You can use cache command to read its content again. It may contain the deleted or last updated material which was cached. Particular file type: Google allows you to search for a specific file type by using filetype command. For example, if you want only the PPT of the search term, then you type, “Marketing filetype:ppt“. The extension can be changed as per the requirement for example pdf, doc or xls. Verbatim Searching: This is a very special command as verbatim search removes personalized, corrected, suggested, related, and non-inclusive results. When you click on tools icon under the search bar, you can see further two drop-down menus “Any Time” and “All Results”. Go to ‘All Results’ and choose ‘Verbatim’. There are still too many search commands that you may use for your search on Google but we have listed some of the not so popular but highly recommended commands in this list. So, now you can explore yourself by trying these tips and start using Google like a Pro. Is there anything called cheap SEO? There is no such thing as cheap SEO. Yes, you heard it right. So, stop searching for cheap SEO Services online. It will take you to those SEO service providers who claim to be experts but have minimal knowledge of SEO. As a business owner or an entrepreneur, you will get many attractive or rather say cheap offers via emails which claim to make your website number one on Google for just a few dollars. Though they seem to be attractive, putting your website in the hands of a layman will be disastrous in the long run. Investment not Expenditure: First thing first, let us start with an understanding that SEO is an investment not an unnecessary expenditure for your business. SEO is one of the most powerful and successful online marketing tools, and it has proven its worth. And good things don’t come cheap. Hiring an SEO Agency is like hiring any other service provider. Will you be willing to risk your health by opting for a cheap doctor? Similarly, a cheap SEO agency who opts for wrong methods to increase your ranking will affect the health of your website and overall brand reputation. Offering such low prices only means either they are using some wrongful techniques, or they are just not good at it. Decoding Google: Google is undoubtfully the king when it comes to search engines. None but Google and its employees truly understand it’s algorithm. Google and all other search engines regularly publish the guidelines for the search engine which only an expert SEO agency can understand. And all these guidelines are subjected to change any time. It takes both time and effort to thoroughly understand and decode these guidelines. Implementing them is even tougher, and it applies to all the SEO service providers. There is no other or correct way of doing it. Why cheap is the bad decision? Google Penalty: Google is the king, and nobody wants to get on the wrong side of it. Though few of the self-proclaimed Best and Cheap SEO providers can get you good results initially with their shady methodology, it can harm in long run. It can have disastrous implications, in worst case scenario your website or the URL you wanted to promote can be deindexed. Getting Deindexed means that Google will completely block the site. If Google finds any wrongful methods of pushing the website or the link to higher ranking spot it will penalize that. Inferior quality content or poor grammar: Though these agencies offer you the unique and good content as a part of the packaged deal yet, these are of poor quality, crammed with keywords which make grammatically no sense. Most of these contents are Spun Content, which means that they copy the content online, run it through a computer programme to look original. OR else they will hire content writers which are cheap just like them. Your website is the place where your customer often forms an opinion about your brand. If your content is not engaging and has grammatical errors, it can put you in poor light in front of your customers. Low-Quality Link: Cheap SEO offers cheap solutions. They usually build low-quality spammy links with help of automated software. Search engines are massive companies and have the best of the systems in place to catch any malware practice. Your website will bear the repercussions of this. Harming brand image: To clean up the mess created by these low-cost SEOs involves lots of time and money. And impacts your website and its health badly. Website being the principal representative of your business online, any harm to it affects your online brand reputation. Ranking focussed: Proper SEO practices involves much more than building links and ranking. It concentrates on higher visibility, generating leads, retaining customers and building up your online brand. Cheap Sisare focussed only on higher ranking by any means which negatively impacts the primary goal of higher ROI. Hiding strategies: Optimizing is not manipulating, which is what cheapskate SEO does. They will never disclose the methods or process they will use. However, any good SEO practitioner will be more than willing to share the details with you and provide you with monthly reports, analytics etc. which makes the whole process transparent. Poor or no research: Any agency offering you the solution in 72 hours at $50 simply means its too good to be true. They will surely be putting in no effort to understand your business, the kind of services or products you offer. What do Good SEO solutions need? Time for research to develop the best and robust solution. Patience to achieve the best results. Money based on your requirements and desired results. Co-operation from you and your team as it involves lots of improvement on your website and your overall digital marketing process. Educate yourself about SEO, its methodologies, and practices. Analyse more than one SEO agencies. Understand SEO is an investment so be ready to invest time and money like any other marketing investment. Prepare a list of questions and get all your queries cleared from your prospecting agencies. If you think you can’t afford any good SEO services, rather than going for cheap offers go for Google AdWords or Social Media advertising. What is EU’s GDPR Law? European Union’s (EU) General Data Protection Regulation (GDPR) will come into effect on 25th May 2018. The GDPR applies to all organizations that process, store and use data of citizens from EU. Personally identifiable information must be deleted on request. This Legislation cover all aspects of data privacy rights, data security, data control and governance. How will it effect UAE? The law is for EU however, even if any organization which does not have the operation in the EU but employs EU citizen or has customers, members and, suppliers who are EU citizens, it will have to comply. How it will affect your business? Any organization which holds data of citizens or residents of EU must be able to secure, identify, utilize and delete personal information as and when required to do so. Following the GDPR law and making this a practice will also enable organizations to have a better Data Management mechanism. Organizations will have to find better methods to prevent any security breach. How to make your Website GDPR ready? The organizations in UAE must start preparing a robust plan into a place as one cannot become GDPR compliant overnight. Access Data: the first and foremost step is to access all the data collected directly or through analytics. This includes traditional data, structured or unstructured data. This helps to evaluate your privacy risk exposure. Audit: Audit your collection of Pseudonymous identifiers like User Ids, email address and, transaction id. Transaction id: when linked to another data source, it can lead to PII of an individual. Thus this id too must be alphanumeric database identifier. How will it affect the user? If you are collecting User id or other pseudonym identifiers mentioned above then you must take consent from users. You must offer the user the ability to opt out of tracking even before the analytics executes. The penalty for GDPR non-compliance is €20 million or 4% of yearly global revenue, whichever is higher. Can my domain name affect my Google ranking? Should there be location name in the domain name? Should we include keywords in the domain name? What domain name extension should I use? How to Choose a Domain Name? These questions often come for all kinds domain registration. Selecting a domain name can be a tough task for any new business. We will discuss here picking up a domain name based on how Google works. A domain name can be based on location, services, targeted keywords, all of these or just the brand name. Location based domain name, like BrandNameDubai.com can give preference in Google search for Dubai related keywords for that brand. But if the same company wants to rank for other cities like Abu Dhabi or Sharjah, it doesn’t make much sense. A domain with Location and Services, like DubaiSEO.com can do a lot for ranking SEO related keywords in Dubai, and specifically for the keyword Dubai SEO, but it won’t make much sense to rank this for other keywords in other cities. For example, if the same brand wants to rank in Abu Dhabi for web design, then the domain DubaiSEO.com/Abu-Dhabi-Web-Design doesn’t look logical. So, if your business is about a particular service in a specific city, then you can use a keyword based domain name. An EMD (Exact Match Domain) gives preference for ranking. For example, if a dentist is providing service only in Dubai, then DubaiDentist.com will have higher chances of ranking higher compared to the other domains of the same matrices. If the business is about a particular service in multiple cities, then you can use the combination of Brand Name and Service. For example, if Virohaa provides only SEO services, then VirohaaSEO.com can be used for multiple cities. If your business provides multiple services in multiple cities, then it’s always better to choose the domain name based on the brand name, like virohaa.com. If you still face any difficulty deciding the right domain name for your website, Contact Us and we will be happy to help you. A Hashtag is a keyword or phrase preceded by a pound sign (#). It is a way of categorizing the content on the social media. It’s like tagging a post with certain words for making it more organized and discoverable. It helps users in finding the posts of their interest and connecting with the link-minded people on social media. Knowing How to Use Hashtags can play an important role in the visibility of your social media posts. Adding the right hashtags in the right way increases the visibility of your content on the social medias. Anyone who searches with the hashtags of your public posts can find your posts. It also helps you in finding the content of any specific topic that you are looking for. If you know how to use hashtags in the right way on social media, then your chances of becoming visible become very high. Below are few tips on using the hashtags. Try to keep the hashtags short and simple. For example, #SearchEngineOptimizationDubai. Normally people don’t want to type those many characters to search for SEO. Be Specific and stick to your brand and product. Instagram allows 30 hashtags, but you don’t have to use them all in every post just for getting more likes or followers. Always be specific and use relevant hashtags. Create your own relevant hashtags that represent your services. For example, Destination British Columbia created the hashtag #exploreBC. 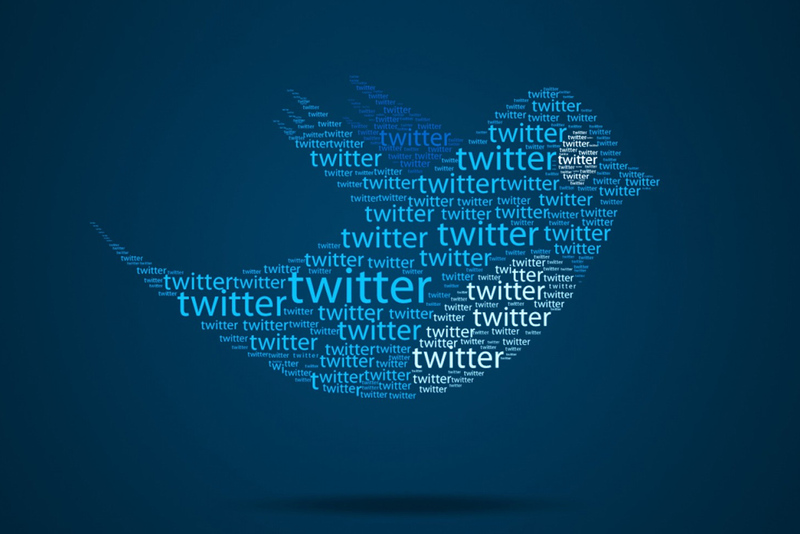 Hashtags were first introduced by Twitter in 2007. Watch below video for a brief history of hashtags.